Getting Started with a Website Project. At Web Search Pros we always try to keep things as simple as possible for our clients. 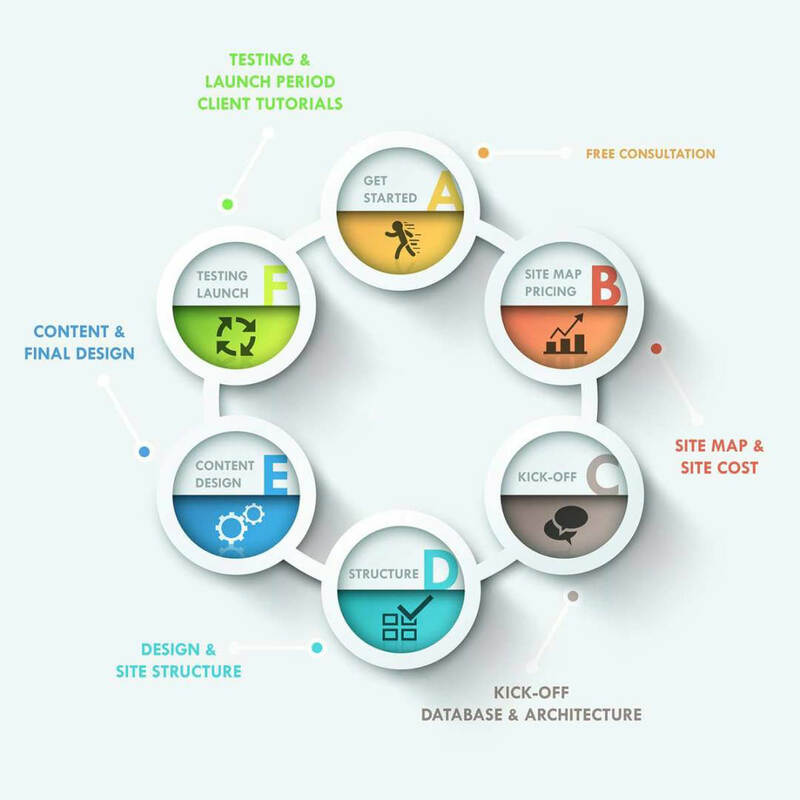 Getting started with the website project can be a fairly tedious task. This is what has made efforts to simplify the process so we can get started on projects at a quicker rate. The first step in starting a project with Web Search Pros. is to either contact us directly by email or by phone. For pricing you will find on our web design page that we have three price models laid out based on average pricing for that particular type of website and amount of pages. Ultimately all website projects will be priced accordingly and on specs provided. Once we have received all your information required for the project including whether or not you will need copywriting work or if you already have someone/yourself providing this for you. We will then provide a detailed quote with an estimated price. Please note project price may vary depending on if you decide to add additional features and functionalities along the way. All clients will be given a login account which will take them to our project page. From here you will be able to view updates and provide/upload your content directly to us. Remember having your content ready to go will help speed up the process. You will be involved in the project, and provided updates regularly so we may receive feedback etc. Once you have reviewed everything and are satisfied with the quote and decide to go ahead, and move forward with the project. You will have the option to go ahead and sign our agreement which is required by all licensed and professional developers and designers. This protects us from copyright issues as well as any payment issues. What are you waiting for?—Let's Get Started.